SOFIA COPPOLA began her career as a still photographer and actress in her famous father’s films, playing an infant in a christening scene in The Godfather (1972). She learned all about making movies first hand by growing up in the industry and after directing a few shorts made her first feature film The Virgin Suicides (1999) which premiered at Sundance. She was the third woman to be nominated for an Academy Award for Best Director with her film Lost in Translation (2003) for which she won an Oscar for Best Original Screenplay. Sofia Coppola and Brian Reitzell – The filmmaker and her longtime music supervisor on the neon-bright music to new film The Bling Ring, including details on Kanye West’s integral involvement. 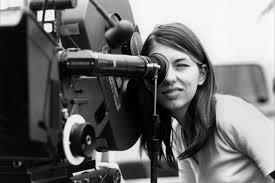 Sofia Coppola – You either love her or hate her. Here’s why.